Hello everybody and welcome back to the Everything Ham Radio Podcast! In this episode we are going to be talking about CW or Morse Code, the South Canadian Amateur Radio Society in Norman, OK, some upcoming events/contests and Hamfest a for the next two weeks and wrap it up with some news from around the hobby! What is Morse Code and Itâ€™s History? Morse code is a method of transmitting text information as a series of on-off tones, Lights, of clicks. Morse code started way back in 1836! It was originally developed by an Amateur artist by the name of Samuel F.B. Morse, an American physicist Joseph Henry, and Alfred Vail. Their system sent electric pulses through wiring to a receiving station that used an electromagnet to make a mark on a piece of â€œpaperâ€. Once the message was completed, the operator would translate the message visually. The original morse codeÂ was only numbers that corresponded with words in a codebook. This didn’t last to long because Alfred Vail soon expanded the code to include the letters of the alphabet as a few special characters. 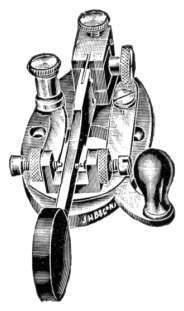 It was soon discovered by the operators of the telegraph stations that they could translate the clicks that the mechanical armature made when receiving a current. It was soon realized that operators could translate a message faster by listening to the clicks over let the machine do that work, then translating it from the â€œpaperâ€. When Morse Code was adapted for radio communications, the characters we sent using a tone. In the 1890s, Morse code began to be used extensively for early radio communication, before it was possible to transmit voice. In the late 19th and early 20th centuries, most high-speed international communication used Morse code on telegraph lines, undersea cables and radio circuits. In aviation, Morse code in radio systems started to be used on a regular basis in the 1920s. By the 1930â€™s all civilian and military pilots were required to learn morse code, both for use in early communications methods and for identification of navigational beacons which continually transmitted a two or three-letter identifier in morse code. Morse code was used as an international standard for maritime distress until 1999, when it was replaced by the Global Maritime Distress Safety System. Before 1999, the standard phrase for distress was SOS ( â€¦ — â€¦ ), who can tell me what it was before it was changed to SOS? When the French Navy ceased using Morse code on January 31, 1997, the final message transmitted was “Calling all. This is our last cry before our eternal silence.â€ In the United States the final commercial Morse code transmission was on July 12, 1999, signing off with Samuel Morse’s original 1844 message, “What hath God wrought”, and the prosign “SK”. As of 2015 the United States Air Force still trains ten people a year in Morse. The United States Coast Guard has ceased all use of Morse code on the radio, and no longer monitors any radio frequencies for Morse code transmissions,p including the international medium frequency (MF) distress frequency of 500 kHz. Morse code speed is measured in Words-Per-Minute(WPM) or Characters-Per-Minute(CPM). Being that characters have different lengths, therefore words will have different lengths to them as well. The WPM is therefore measured by using a standard word, such as PARIS or CODEX. This allows the standardization of WPM speeds. Operators proficient at morse code can receive(copy) morse code transmissions at 40+ wpms in their heads. International contests in code copying are still occasionally held. Â In July 1939 at a contest in Asheville, North Carolina in the United States Ted R. McElroy set a still-standing record for Morse copying, 75.2 wpm. However it is believed that there are some operators out there that can copy morse code in their heads at over 100 WPMs. Today among amateur operators there are several organizations that recognize high-speed code ability, one group consisting of those who can copy Morse at 60 wpm. Also, Certificates of Code Proficiency are issued by several amateur radio societies, including the American Radio Relay League. Their basic award starts at 10 wpm with endorsements as high as 40 wpm, and are available to anyone who can copy the transmitted text. Members of the Boy Scouts of America may put a Morse interpreter’s strip on their uniforms if they meet the standards for translating code at 5 wpm. Morse code has been in use for more than 160 yearsâ€”longer than any other electrical coding system. What is called Morse code today is actually somewhat different from what was originally developed by Vail and Morse. 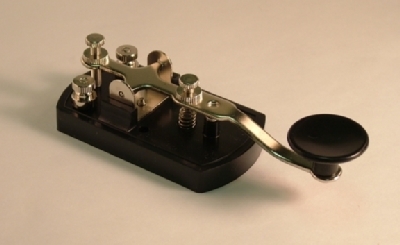 The Modern International Morse code, or continental code, was created by Friedrich Clemens Gerke in 1848 and initially used for telegraphy between Hamburg and Cuxhaven in Germany. Gerke changed nearly half of the alphabet and all of the numerals, providing the foundation for the modern form of the code. 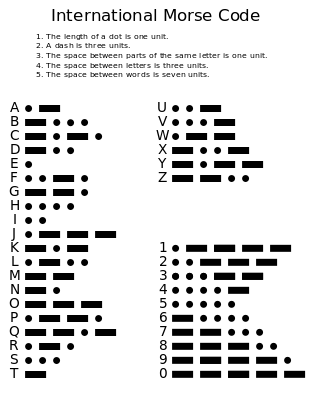 After some minor changes, International Morse Code was standardized at the International Telegraphy Congress in 1865 in Paris, and was later made the standard by the International Telecommunication Union (ITU). Morse’s original code specification, largely limited to use in the United States and Canada, became known as American Morse codeor railroad code. American Morse code is now seldom used except in historical re-enactments. 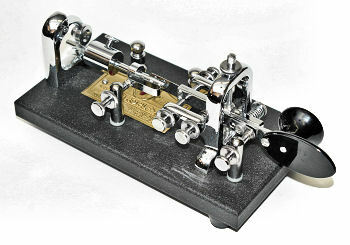 Until 1991 a demonstration of the ability to send and receive Morse code at a minimum of five words per minute (wpm) was required to receive an amateur radio license for use in the United States from the Federal Communications Commission. Demonstration of this ability was still required for the privilege to use the HF bands. Until 2000 proficiency at the 20 wpm level was required to receive the highest level of amateur license (Amateur Extra Class); effective April 15, 2000, the FCC reduced the Extra Class requirement to five wpm. Finally, effective on February 23, 2007 the FCC eliminated the Morse code proficiency requirements from all amateur radio licenses. Since Morse Code is not a requirement any long to obtain you amateur radio licence or to upgrade to a higher class, there has been an influx of people getting and upgrading their license. There has also been a rift forming with some operators who obtained their license before the code requirement was dropped. It is sad, but true. Some ofÂ those operators have not been very friendly to operators that got their license after the code was dropped. What are your feeling about the code requirement being dropped? There are three major methods on learning amateur radio, Mnemonics, the Farnsworth Method and the Koch Method. The Farnsworth method is probably the best way to learn according to a lot of people who I have talked to and/or read articles from. When I first upgraded to the Tech + class, I had to get 5 wpm code. I didn’t have any plans on going any higher than that really. I just wanted a little sliver of 10 meter voice that I could possibly use to talk home on while I was in college. That didn’t happen though, because my father didn’t get his upgrade until after I had graduated college. While I did learn morse code and I got my tech + license, the way that I learned morse code was definitely not the best way that I could have. I learned using the Mnemonics method. What this means in that every letter has a sound-a-like that followed the pattern of the morse code dits and dahs. For example, let letter A has a sound alike of â€œSay Awwâ€ and the letter B has a sound alike of â€œBand rat it tatâ€. While this method is OK for use at slow speeds, it really hampers you when or if you want to increase your speed. When you learn morse code with this method, you brain will automatically translate the morse code character into the sound alike and then into the letter. This adds an extra step when trying to receive a morse code message and limits how fast you can receive. The Koch Method is named after a German Psychologist Ludwig Koch. This method is probably the second most popular method of learning morse code. The way that this method works is that you learn all the characters at full speed from the start. However, you start with only two letters and build from there once you can copy those two at 90% accuracy. The Farnsworth Method is probably the most popular method on learning morse code. It was developed by Donald R. Farnsworth, W6TTB, This method is similar to the Koch Method, however there is one real difference. With the Farnsworth method, all the characters are sent at your target speed, typically 13 or 20 wpms, but the spaces between the letters and words are exaggerated to make the overall speed of only about 5 wpm. This exaggerated space between the characters are so that you have extra time to think of the character. Bother the Koch and the Farnsworth Methods allow you to easily increase your speed of sending and receiving because you learning the sound of the actual character rather than the sound alike of the character. The straight key is probably the first keyer that anyone uses. It is a mechanical key so it doesn’t have any electrical parts and can be used with pretty much any kind of radio. This style of keyer has an up-down motion to it and contacts on the bottom of the arm. When the arm and the base meet it causes a tone to be sent out on the radio. The longer you hold the key down the longer the tone will be. I’m sure that most of yall have used or at least played with one of these types of keys at some point in your life. These keys are the easiest to use, since they are so simple, however, it is hard to achieve a speed of more that 20 wpm with them and that is probably pushing it. The other negative thing about these types of keys it the up and down movement of them can cause wrist issues like carpal-tunnel. 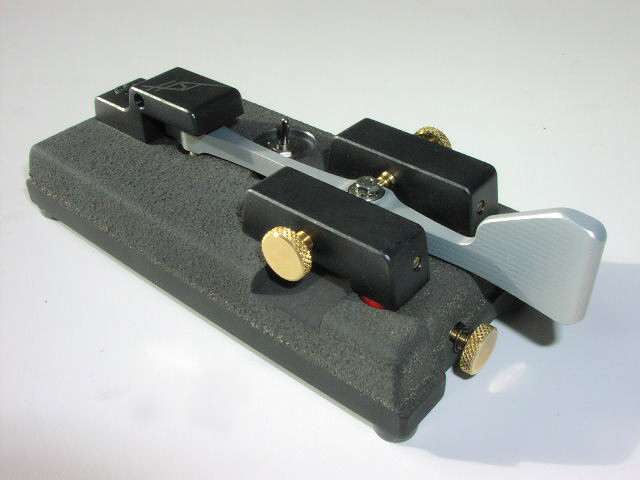 A sideswiper keyer is similar to a straight key in that the longer you hold the contacts together the longer the tone that is transmitted will be. The other similarity is that they are totally mechanical. The major difference is that instead of an up-down motion, the key arm goes left and right with contacts on both side. The two advantages of having the key arm moving left and right instead of up and down, is that a higher rate of speed can be achieved and you don’t have the carpal-tunnel issues that a straight key has. A Vibroflex â€œbugâ€ expands on a Sideswiper style keyer in that is goes left and right, however the biggest difference is that the Vibroflex is a semi automatic keyer. When you push the key one way it will make a dit sound that will repeat at a set speed and the dah will be made when you press it the other. The dahs however, do not repeater so the tone will be transmitted for as long as you hold the key down. 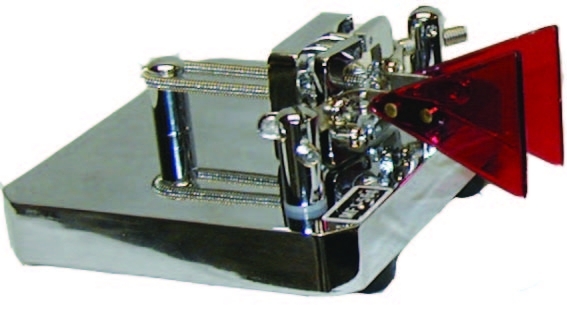 The Vibroflex was the most common form of speed keyer used before electronic keyers. The the advent of electronic keyers, the speed at which you can send morse code that increased dramatically. With electronic keyers, you can set the speed you want to send at and then like the Vibroflex, when you hold down one side it will send dits but when you hold down the other side it will send dahs. Unlike the Vibroflex though, when you hold down the dah side it will repeatedly send dahs instead of just one single tone. Electronic keyers are typically referred to as paddles because of their shape. There is also two kinds of electronic keyers, one with a single paddle, the other with two. With the single paddle it is much like the sideswiper in that there are contacts on both sides. However, unlike the sideswiper, one side is for dits and the other for dahs and both sides repeater. The other type of electronic keyer is double paddle style. This type uses a squeeze type methodology. One side is for dits the other for dahs. The biggest difference with this type of keyer is that you can hold down one side and squeeze the other side together and they keyer will alternate whether a dit or a dah is sent out. This comes in handy when you are doing like a â€œRâ€ or a â€œKâ€. With the electronic keyer, you can press one side down the squeeze the other and it will do a dit dah did or a dah dit dah depending on which side is pressed down first. Do you use morse code? How fast can you send and receive? Well I did it, I couldnâ€™t wait for my friends to take the test with me. I passed the technician class test this weekend. Didnâ€™t know you got to take the general for free. I didn’t study for it and was only two questions short of getting my general ticket. So now Iâ€™m studying for the general and extra. Thanks for the encouragement, Iâ€™ve learned a lot from your show. Wow that is close. Well I’m already studying for my general an extra class hopefully by the end of next month I should be sending you a new call sign. I think the reason why I almost passed my general class without studying was because I listen to you every week. I’ve learned a lot from your show. It is so awesome when I get emails like these. Once again, congratulations Fred on joining the ranks of amateur radio. Maybe one day we can talk on the air or in person! SCARS is not a Canadian Club, we’re just located in the South Canadian River area. The founding fathers didn’t want to limit the scope of the club to a certain town, or village, so this name was chosen. 40 years later, we’ve expanded to have members from across the state, and country. With the Internet experience, we’ve even attracted regulars from around the globe. For more information on the South Canadian River area, please see the South Canadian River Facebook Group. 2nd Saturday of each month (3rd Saturday in June) at Fire Station #7 near Westheimer Airport / Field. Coffee and donuts start at 9am, meeting starts at 9:30am. Now that Jamboree On The Air (JOTA) 2016 is history, the Boy Scouts are urging participants to file a JOTA Station Report, in order to determine how things went. Reports are due by November 1. Every station that files a report will be entered into a drawing for an Icom ID-51A Plus dualband handheld transceiver and will receive a 2016 Jamboree on the Air Certificate. Five runners up will receive an Icom America Ham Crew T shirt. Only Boy Scouts of America stations are eligible. â€œWorldwide we had 11,534 register for the event,â€ Wilson said, adding that a rough estimate indicated 800 US registrations and nearly 300 of those indicating Amateur Radio call signs. If that number holds, he said, it would indicate a dip in JOTA participation from 2015, when 346 turned out. â€œSome of that could have been due to the complexity of the registration system,â€ he allowed. â€œI assure you that the reporting system now is much simpler. Wilson said the US JOTA 2016 Report should be out in early December. â€œThanks again for all your support to Radio Scouting and Jamboree on the Air,â€ he said. Itâ€™s estimated that more than 1 million Scouts in 150+ countries took part in JOTA 2016, engaging with other Scouts to talk about Amateur Radio and their Scouting experiences. The VHF handheld transceiver that the Amateur Radio on the International Space Station (ARISS) program has used to connect students worldwide with astronauts on board the International Space Station (ISS) for more than 16 years has begun to display an error message and is unusable at this time. While the ARISS technical team evaluates the best path to restore operation from the ISS Columbus module, ARISS contacts will be supported using the Kenwood radio in the Russian Service Module. During this period, the packet digipeater will be unavailable. Switching to the 70 centimeter capability on board the Columbus module for some operations is being coordinated. ARISS said to expect further updates as it works to resolve the problem. A reminder: The deadline is November 1 for formal and informal education institutions and organizations to submit proposals to host an Amateur Radio contact with an ISS crew member. ARISS anticipates that contacts will take place between July 1 and December 31, 2017. Crew scheduling and ISS orbits determine contact dates. Georgia Section Manager Gene Clark, W4AYK, of Albany, has announced that heâ€™s stepping down at the end of October, after serving since October 2009. David Benoist, AG4ZR, of Senoia, has been appointed as Georgia Section Manager, effective November 1, to complete the current term of office, which extends until September 30, 2017. When a Section Manager vacancy occurs between elections, the position is filled by appointment. Clark recommended to Field Services and Radiosport Manager Dave Patton, NN1N, that Benoist succeed him. Patton then consulted with Southeastern Division Director Doug Rehman, K4AC, before making the appointment. Benoist has served as Georgia Section Emergency Coordinator and as an Emergency Coordinator. Annual ARRL On-Line Auction Now Open for Bidding!